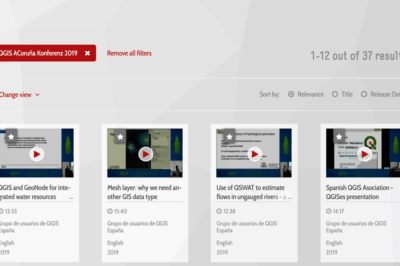 Most of your image analysis tasks that required ENVI or Erdas Imagine software are now available online thanks to EOS Platform. This new game-changing cloud service launched by EOS Data Analytics provides GIS professionals with a one-stop solution for search, analysis, storing, and visualization of large amounts of geospatial data. With EOS Platform you get access to an ecosystem of four mutually integrated EOS products, which together provide a powerful toolset for geospatial analysts. 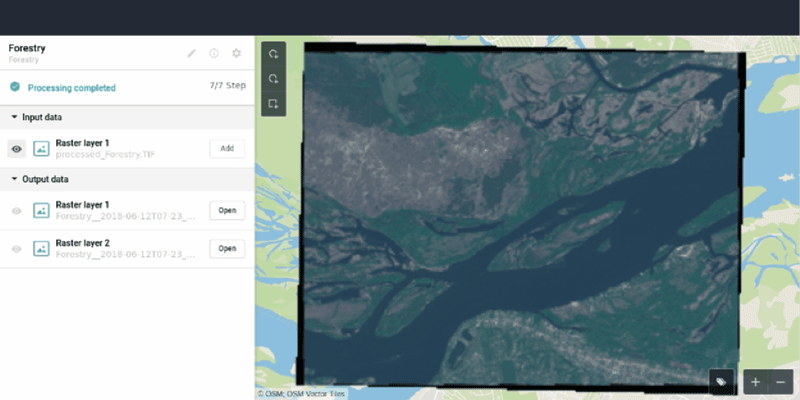 Image data is stored in cloud-based EOS Storage and is available for image processing or remote sensing analysis at any time; this can be a raw user file, an imagery obtained from LandViewer or an output file from EOS Processing. There are at least two reasons why image processing is the platform’s major asset: the processing of large data amounts runs online and offers as many as 16 workflows with even more coming soon. 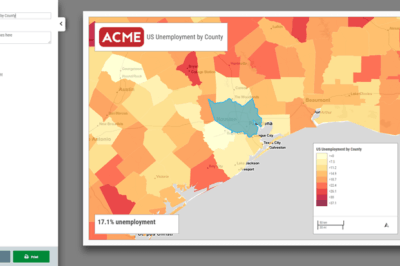 On top of that, users can get the best cartographic features of EOS Vision for vector data visualization and, as announced for the future, its analysis. 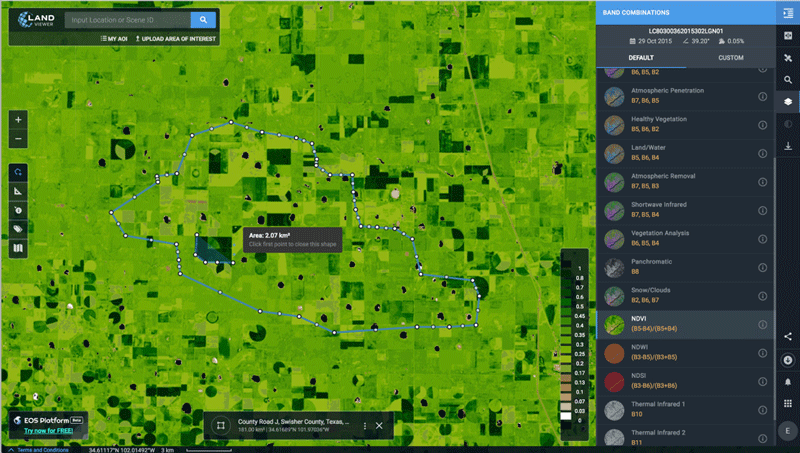 When it comes to raster data, you can work with a variety of satellite and airborne datasets in LandViewer, EOS Processing, and EOS Storage. Users can also upload their own GeoTiff, JPEG, JPEG 2000 files and apply GIS data processing algorithms via API or from the web interface. EOS Vision is your tool for vector data operations with multiple formats support (ESRI Shapefile, GeoJSON, KML, KMZ). EOS Processing offers a great experience with its sixteen processing workflows, including the popular raster tools (merge, reprojection, pansharpening), remote sensing analytics, photogrammetry, and proprietary feature extraction algorithms that can’t be found anywhere else. Get your data ready for the upcoming LiDAR analysis and 3D modeling as they’ll become available soon. Such pre-processing tasks as cloud detection or radiometric calibration help you refine raw data for further analysis: you can correct images for atmospheric effects and obtain the real ground radiance or reflectance values. The convolutional neural networks, pre-trained by EOS Data Analytics to extract features from imagery, let you apply state-of-art methods to detect objects and track changes from space. Having only a set of multi-temporal images and change detection workflow, you can track how illegal deforestation progresses over time. Edge detection can show the exact boundaries of your agricultural lands down to the last pixel. It is possible to estimate the parking lot traffic of largest shopping centers with car detection algorithm. A parking lot in Portugal. Before / after vehicle detection from WorldView-3 image. Products within EOS Platform support almost all remote sensor types and the user can choose from a long list of spectral indices to calculate on the fly. Aside from the complete set of vegetation indices (NDVI, ReCI, ARVI, SAVI, AVI, etc. ), there are also indices to outline landscape features (water, snow and ice – NDWI, NDSI) and burned areas (NBR). The greatest thing is that here you get the freedom of experimenting with spectral bands and can create custom band combinations that best fit your purposes. The user-friendly interface of EOS Processing makes it easy to manage processing workflows depending on the user’s business needs. You can set the parameters for processing and repeatedly use such customized workflow to automate high-frequency analytical tasks. The coming updates will add an ability to create custom algorithms from the available data processing operations. A tandem of EOS products offers a much-needed solution for individuals, businesses, and organizations across numerous industries. With vegetation indices and crop classification feature, agronomists can continuously monitor crop conditions to detect plant diseases, pests, droughts. Forestry specialists can assess fire damages, monitor forest health, track and enforce logging restrictions. EOS Platform is a great choice for regional and urban planning, helping users identify land cover classes to generate a vegetation map. It can also make a complete list of urban features like buildings, roads, and other major features in the region. The platform can tackle disaster management by measuring flood extent and finding fire boundaries. 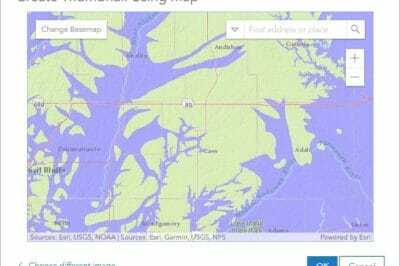 When it comes to oil and gas, it is capable of identifying oil rigs and assessing the environmental impact. EOS Data Analytics uses cloud-based services to address different verticals with a single platform, scientifically proven analytics, scale-ups and it builds products that could add value to remote sensed data to deliver expert-level results for your business.